The Wolfforth Area Chamber of Commerce hosted it’s Annual Awards Banquet on Monday night, March 27. The event was held at the Casey Professional Building and was a celebration of local businesses, community members and teachers. 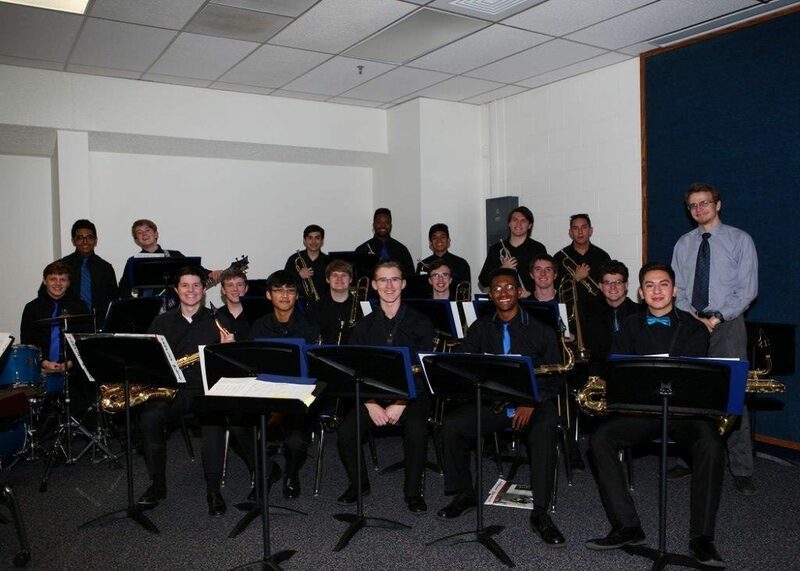 Entertainment was provided by the FHS Jazz I Ensemble and catering was done by Evie Mae’s Pit BBQ. “Everyone who has ever been to Evie Mae’s knows that the food was phenomenal. We appreciate them helping us out by providing a great meal to our guests. Mr Meade and the Frenship Jazz Band are so very talented and the crowd loved the upbeat tunes played as well. Big thanks to both of these groups, ” says Terri Robinette, Director for the Wolfforth Chamber. The awards program began with the 2016 Business of the Year, the Holiday Inn Express and Suites Wolfforth. This hotel is operated by Taj Hospitality and is an integral part in helping bring events to the Wolfforth Community. The Chamber of Commerce has a great relationship with the hotel and looks forward to working with them even more in the future. Patricia Tuthill, Tiffany Wall and Debi Bennett accepted the award on behalf of Taj Hospitality. We thank them for all their help to the Chamber and with future events here in Wolfforth! The Spirit of Wolfforth Award is given each year to a person, business or organization that exemplifies the qualities attributed to our community: service, hard-work and dedication to helping others to name a few. No organization better fits those qualities that the City of Wolfforth Library. Director Kim Brown brings a passion for not only books but a love of people to the library. She has a dynamic calendar of events for children and has grown the summer reading program to include a record-number of kids. She is always exploring new options for helping those in our community. In 2015, the Library opened the Andi Youngblood Powers Job Resource Center. Honoring the memory of past director Andi Powers, the center provides resources from resume writing, job application help and even preparation for interviews and has become a model for other libraries in the State. Thank you City of Wolfforth Library staff and Director Kim Brown for all you do for the children, job seekers and general lovers of books from all around our community! The Wolfforth Area Chamber of Commerce Teacher of the Year was awarded to Angela Robinson from Frenship Middle School. Her campus principals credit her with helping to cut their failure rates in half by brainstorming ways to motivate students to turn in missing work. FMS now implements a version of recess for those students who have no missing assignments. Those students with missing work must complete that work during recess time. Congratulations Mrs Robinson and thank you for always looking for new ways to encourage and motivate our Frenship students. Shown below with Angela Robinson are Cindy Stephens and Tina Wright on behalf of the Frenship Alumni Association. Along with her award from the Chamber of Commerce, Mrs Robinson was also presented with a $200 check from the Association.